So, why is the Comprehensive Error Rate Testing (CERT) important? Simply stated: to reduce payment errors in the Medicare Fee for Service Program. Since 1996, Centers for Medicare and Medicaid (CMS) has implemented several initiatives to prevent improper payments. CMS' goal is to reduce payment errors by identifying and addressing billing errors concerning coverage and coding. The Comprehensive Error Rate Testing (CERT) program is one of the programs created by CMS to assist in eliminating improper payments. The Medicare Fee For Service (FFS) Improper payment rate for 2017 was estimated at 36.2 billion dollars. Is your organization aware of the categories of improper payments audited by CMS and CERT so you can be proactive in resolving before they are sent to the carrier? The CERT process and what categories of improper payment categories your organization should be monitoring. How Comprehensive Error Rate Testing (CERT) contractors audit Medicare Part B by auditing you. Be more confident when responding to a CERT request. Be more aware of how the CERT reviewer determines that a MAC’s payment decision was incorrect. Connect the role of your local Medicare Administrative Contractors (MAC)s and their responsibility for adjudicating claims based on Comprehensive Error Rate Testing (CERT) reviews. See how your specialty measures geographically with the CERT annual report. This webinar will help Identify a process to select your provider’s statistical sampling of that mirrors what CERT measures so you can audit yourself before they do. Empowered with new knowledge on the CERT process, the organization can be more proactive in identifying the improper payment categories to maintain compliance. She is an engaging presenter via webinar, classroom and conference on various topics that may impact the revenue cycle of every practice and maintaining compliance. She has managed in medical practices ranging from single to multi-specialty groups, including ASC. She is an advocate of process improvement and maximizing and empowering employees to bring about the "best practice” results for your organization. She received her Masters in Management from University of Phoenix. Pam maintains memberships in professional organizations to support her continuing cycle of learning in the ever-changing healthcare industry. 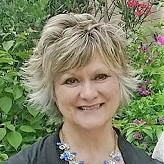 Pam is the owner and operator of her consulting business, Innovative Healthcare Consulting.